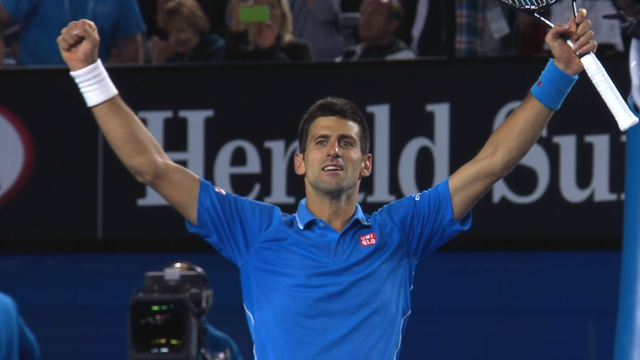 World no.1 Serbian Novak Djokovic proved his mettle at Melbourne Park, Sydney Australia when he beat Britain's Andy Murray in a full five set match and thus won his 8th Grand slam title. Having won the first set 7-6, he lost the second 6-7 to Murray. But he regained himself in the third set 6-3 and completely knocked off Murray in the fourth set 6-0 to win the Australian Open title for 2015.